Rev. Ann Beaty is the Associate Minister at First Congregational UCC, Madison, Wisconsin. She has special interest in contemplative prayer practices and how they feed us for our congregational ministry and outreach. In addition to a BA in Christian Education and a Master of Divinity, Ann has certification through Shalem Institute in spiritual direction leadership. Since 2003, John Behnke has been the Music Editor for AGEHR Publishing - Handbell Musicians of America. He is the director of the Milwaukee Handbell Ensemble. In addition he is the Music Director at Trinity Lutheran Church in Milwaukee, Wisconsin. 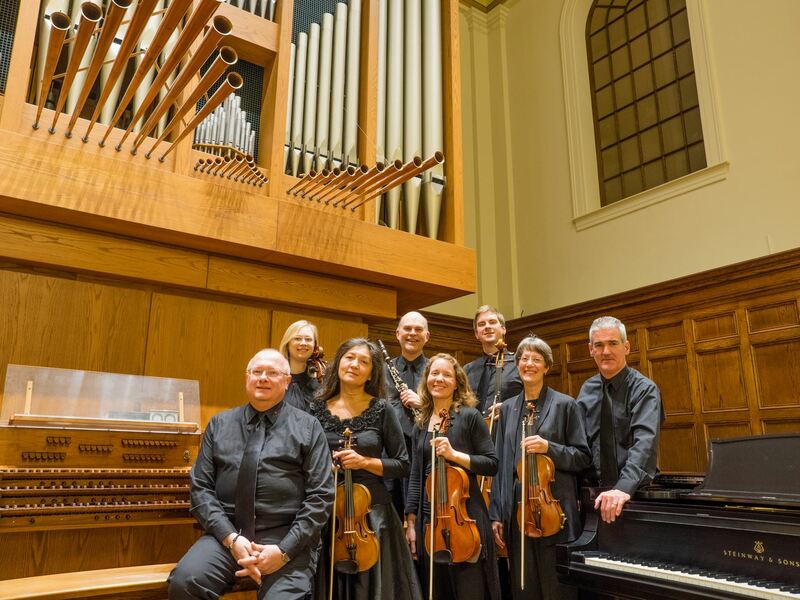 He is Professor Emeritus of Music at Concordia University Wisconsin where he served as Professor of Music for 29 years His undergraduate degree is from Concordia University Chicago, and master’s and doctorate degres are from Northwestern University. In addition he spent one year at the Hochschule fuer Kirchenmusik in Herford, Germany, where he completed the A Exam in Organ, and the B Exam in Organ and Improvisation. He is a frequent handbell clinician, festival director, and organ recitalist, he enjoys composing and arranging having 450+ handbell, choral, and organ compositions in print with seventeen different publishers in the United States, Germany, and Taiwan. A complete works listing can be found online at www.johnbehnke.com. Mr. Bengtson’s organ study was begun at the age of 11 with William Fawk of Salem, Oregon. Undergraduate work was in organ performance under Dr. Robert Anderson at Southern Methodist University in Dallas, Texas. Graduate work in organ and church music was done at Valparaiso University with Dr. Philip Gehring. Besides concerts in the United States, Mr. Bengtson has been featured in concerts in Mexico, Canada and Europe. The Lahti Organ Festival in Finland, Gävle Organ Week in Sweden, and the cathedrals of Paris, Salzburg, Copenhagen, Stockholm, Helsinki and Uppsala are among the European concert sites. Recitals have been played for the National Convention of the Organ Historical Society and for National Conferences of the Association of Lutheran Church Musicians (ALCM). 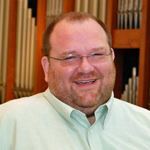 He has served as organist and clinician at national conferences of Chorister’s Guild and the Hymn Society of the U. S. and Canada, and is active in the Association of Lutheran Church Musicians. As an accompanist for singers and instrumentalists, Mr. Bengtson has also been heard on Wisconsin Public Radio broadcasts. His anthems for choir and organ are available from Augsburg Fortress Publishing Company. The Rev. Geoffrey A. Black was elected General Minister and President of the United Church of Christ in June 2009. Rev. Black served in that role until retiring in 2015. Prior to that, he was Conference Minister of the UCC’s New York Conference (2000-2009). Black was previously a program staff member in the UCC’s Office for Church Life and Leadership. During his career he has served as assistant chaplain at Brown University, associate minister at St. Albans (N.Y.) Congregational UCC, pastor of Congregational UCC of Hempstead, N.Y., lecturer in the Field Education Department of Union Theological Seminary in New York and protestant chaplain at Adelphi University. Rev. Black brings a love of music to the conference. He is passionate about jazz music and how it might lead us in life, or even in our ministries. Sarah Bodell is a teacher in music education at Northside Elementary School in Monroe, WI. She holds a Bachelor of Music degree from St. Olaf College in Northfield, Minnesota and a Master of Arts in music education from the University of St. Thomas in St. Paul. She has completed all three levels of World Music Drumming as well as additional Master Classes with Ghanaian Master Drummer, Sowah Mensah. For the past 13 years, she has conducted a 5th grade African Ensemble as well as the Monroe Community Percussion Ensemble. Winton Boyd was Senior Pastor of Orchard Ridge UCC in Madison for 20 years. He is also a facilitator with the Center for Courage and Renewal. 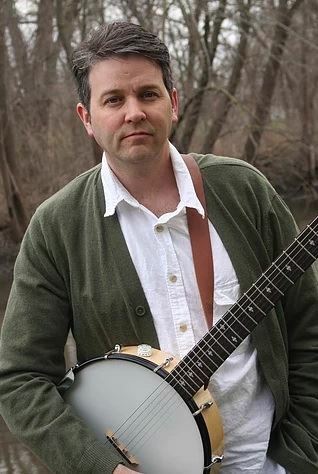 Richard Bruxvoort Colligan is a psalmist making adventurous and imaginative music for the ever-evolving church. A composer and musician, he serves across denominations inviting a perspective of lifelong spiritual formation to community singing. He also loves dumb jokes and is always ready to hear one. He has recorded several albums of original worship music, and his hymns have been published by the UCC, ELCA, UMC and PCUSA. Richard earned his M.A. in Theology and the Arts from United Theological Seminary of the Twin Cities and is currently working on his DMin through Eden Seminary in St. Louis. Since 2004, his central vocation has been immersion in the Psalms, studying, teaching, singing and creating new congregational songs for all 150. He teaches Psalms at several seminaries, in workshop at events and local churches and he is the weekly Psalm Correspondent for the Pulpit Fiction podcast. More info and free listening at Worldmaking.net and PsalmImmersion.com. Linda P. Hancock has been a working artist for over 35 years, with an emphasis in watercolor painting and drawing. She maintains a commercial lettering and calligraphy studio in Madison, Wisconsin. Her emphasis is on still life, with a continuing desire to explore light and shadow, negative and positive space. Her artwork has been selected for many juried exhibitions. Linda has been pursuing her calligraphic training since 1968 when she began studying letterforms at The Colorado College from which she was graduated in English Literature in 1969. Her work has been selected for the permanent collection of the Chazen Museum of Art in Madison and the Newberry Library in Chicago and has been showcased in many of the juried annual exhibitions in the international publication Letter Arts Review. As a decades-long member of First Congregational UCC in Madison, she has been involved in many projects to bring art into worship and feels strongly that the visual expands the congregation’s path toward “acting justly, loving mercy and walking humbly with our God” (Micah 6:8). The Reverend Eldonna Hazen is Senior Minister of First Congregational UCC, host church of this conference. For her amazing bio click here. Bryan Johnson, Director of Sacred Music at Chicago’s Trinity United Church of Christ, researches, plans, consults, implements, and monitors the ministry of music for the church, supervises the performance of the music staff and contract musicians, and ensures the development of their musical skills and talents by providing coaching, training, and workshop opportunities. He directs the rehearsals and performance of all choirs, ensembles and praise teams, and supports the movement ministry partners. Bryan received a Bachelor of Arts from Chicago State University, and a Masters of Music Education from VanderCook College of Music. His family has roots in Jamaica, Barbados, and Brazil. Janet Kessenich, M. M., www.spiralenergies.com is a workshop/retreat leader in the New England area specializing in connecting participants with what brings meaning, purpose, satisfaction and empowerment into their lives. Janet is a holistic sound and energy healer who uses the essence of music – calibrated vibration – in her work with clients and workshop participants to, in a sense, tune them to their most aligned way of being. She is the author of Music Lessons for the Spirit, a collection of essays drawn from the spiritual/life lessons she learned as a pianist. Julie Mazer has been the Children’s Music Director at Orchard Ridge UCC since 2009. She is also a private piano teacher and a music teacher at area schools and studios. Susan Eaton Mendenhall has danced and studied the art of liturgical dance since her teen years. For over twenty years she choreographed for a children’s dance group as well as using the art of movement in working with children in body awareness and creativity; and with adults in exploring spiritual themes. Her dance work has enhanced worship services, baptisms, funerals, weddings, retreats, national conferences, and community celebrations. Over the years she has offered liturgical dance workshops and especially delights in teaching the dances of the Christmas carols. Susan lives by the philosophy that how we ‘move’ in the world is the dance we dance each and every day. Everyone is a dancer. Gail O’Neal is an ordained minister in the United Church of Christ. Currently retired, she served as an Associate Conference Minister at the Wisconsin Conference UCC where she staffed the Arts Committee; developing workshops for helping congregations bring the arts into worship and creating a lively environment for each year’s Annual Meeting. With a strong emphasis on the visual arts, she also appreciates the gifts of music, drama, dance and word. Gail’s personal studio work include three dimensional oil painting and handmade books. Albert Pinsonneault (PEN-son-oh) is Artistic Director of the Madison Choral Project, Madison's professional chamber choir. 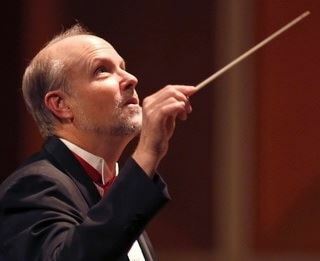 Dr. Pinsonneault is also Associate Director of Choral Organizations at the Bienen School of Music at Northwestern University, where he directs the University Singers and teaches graduate choral literature sequence. Additionally, he serves as Artistic Director of the Madison Chamber Choir, and was formerly Assistant Conductor of the Madison Symphony Chorus and Associate Professor of Music and Director of Choral Activities at Edgewood College. In 2010 Dr. Pinsonneault co-founded the Madison Boychoir Festival, an annual day-festival for 400 young male singers in grades 2 to 12, and in 2008 he was the assistant producer of the Second National Convention of the National Collegiate Choral Organization (NCCO) in Cincinnati, Ohio. Dr. Pinsonneault’s scholarship focuses on choral blend and intonation, the physical/kinesthetic act of conducting, and the music of F. Melius Christiansen. His published work Choral Intonation Exercises is available through Graphite Publishing. Jeff Rabe has served as Director of Christian Education for Children and Youth at First Congregational UCC, Madison since 2002, and was the Children & Youth Director for the previous eleven years at St. Peter’s UCC in Kiel, a small town in Eastern Wisconsin. A graduate of Lakeland College, Jeff studied Education and History as well as coursework in theatre and music. An avid fan of music and theatre, Jeff has performed in and directed productions for local community theatre, and sang with the Madison Symphony Orchestra. 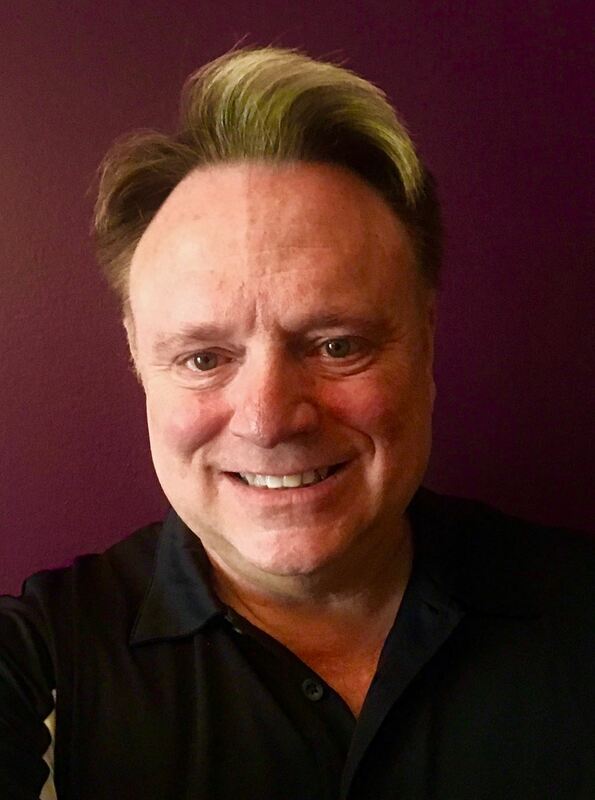 Throughout his tenure in church, Jeff has written and directed plays and musicals for children, youth and adults, building productions around the talents of individuals involved including Christmas pageants, Summer children’s musicals, youth musicals, and intergenerational musical and theatrical worship experiences. Jeff has also recently attended World Music Drumming workshops to offer Drumming as an additional participation offering for Youth and Adults at First Congregational Church. Joy Schmidt, a Dane County Dementia Care Specialist, is a locally known speaker on topics like brain health; Alzheimer’s and other dementia; warning signs; caregiving; dementia friendly communities, and more. I am an ordained minister in the United Church of Christ, and I served as pastor of two small UCC congregations in northern Wisconsin for almost 4 years (1983-1987). The two small churches in northern Wisconsin, and then lived in Three Lakes, WI for the first 6 years of my music ministry. In 1993 my family and I moved to Madison, WI, and I've been in Madison ever since. Aaron VanDanacker is a choral music educator and active musician in Minnesota. After studying K-12 Vocal Music Education at the University of St. Thomas under the direction of Dr. Angela Broeker, he has worked as a public middle school music educator and a collaborative artist for numerous educational, public, and religious organizations. He currently serves as Assistant Conductor of the Training Choir and Collaborative Artist with the St. John’s Boys’ Choir in Collegeville, MN. For the last two years, he has served the congregation at First Congregational UCC in Anoka, MN as Keyboardist and Associate Director of Music Ministries. Mr. VanDanacker is a lifelong learner who actively studies, teaches, and performs the music of non-Western cultures. 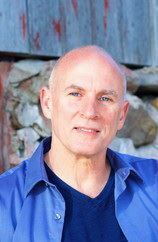 His career as an educator and performer has allowed him to collaborate with many wonderful organizations and professionals who are dedicated to changing lives and promoting growth through effective teaching that reaches all learners. Praised as “extraordinary in the classical music world” (Jon Hornbacher, PBS Wisconsin Life), Greg Zelek (26) is the Principal Organist of the Madison Symphony Orchestra and Curator of the Overture Concert Organ Series. 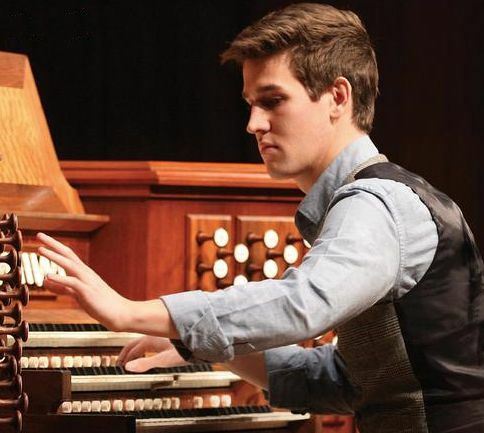 In 2016, Greg was chosen by The Diapason magazine as one of the top “20 Under 30” organists, a feature which selects the most successful young artists in the field. Greg received his Bachelor’s and Master’s degrees, as well as an Artist Diploma, from the Juilliard School as a student of Paul Jacobs. con vivo!...music with life is a professional chamber music ensemble founded in 2002 and comprised of seven core musicians who draw upon professional experience with the Madison Symphony, Wisconsin Chamber Orchestra and other regional performing groups to deliver dynamic and high-caliber performances. The ensemble’s home venue is First Congregational UCC, Madison.